The Ottawa Senators say they'll start scouting out other central locations for a new arena now that their redevelopment plans for LeBreton Flats have fallen through. 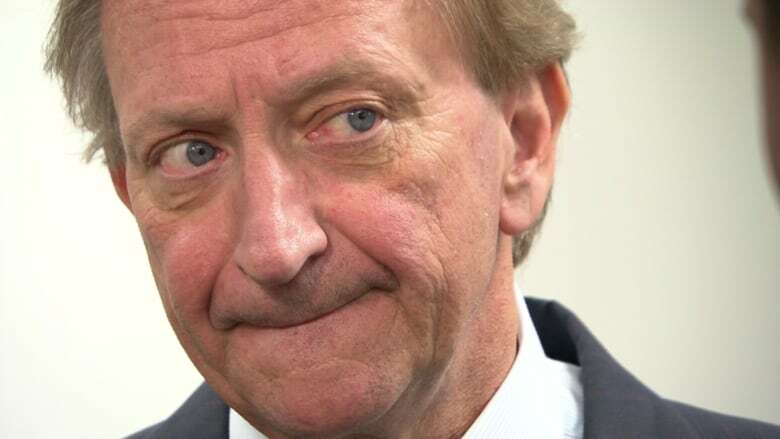 ​Eugene Melnyk and John Ruddy, the feuding partners behind RendezVous LeBreton Group, which won the bid to redevelop LeBreton Flats, failed to reach an agreement in mediation, the National Capital Commission announced Wednesday. In a statement, Melnyk said the organization participated in the mediation process "to the very end" and is "devastated that the dream has been shattered," but will now begin the search for a new downtown location. "We will not let our vision die or allow our enthusiasm to be diminished by this ill-fated experience. More than ever, we are determined and committed to explore alternative approaches in central locations that could accommodate a world-class hub," he said. "We are here for the long term and want a world class venue where Ottawans will live, work, play and enjoy the best the city has to offer." In an emailed statement Wednesday, NHL deputy commissioner Bill Daly wrote, "The League continues to support Mr. Melnyk's efforts to find a solution for the long-term future of the Senators in Ottawa." Melnyk and Ruddy entered into mediation in January after launching reciprocal lawsuits claiming hundreds of millions of dollars in damages. They had until Thursday to work things out, but on Wednesday the NCC issued a news release saying the parties "have been unable to reach a settlement." Now the National Capital Commission (NCC) has to decide how to revive the process it started in 2014 to redevelop LeBreton Flats. The NCC's board of directors is holding a news conference Thursday to discuss this latest development, and another meeting on March 7 will "finalize the elements of a new process for the future redevelopment of LeBreton Flats," the NCC said. ​In an interview with reporters Wednesday, Mayor Jim Watson said he's "not giving up on LeBreton," and hopes to come up with a new plan during this term of council. "I'm sorry that mediation didn't work because I think everyone went into that hoping that there would be a reasonable compromise between the two parties," Watson said. "Obviously the arena was an important rallying point for that LeBreton proposal, and we'll have to discuss that at the next NCC board meeting, what options are available. "I've always said the arena was a pivotal part of that particular proposal because there's no walk-up traffic at the Canadian Tire Centre. You need that walk-up traffic ... to support the team." Canadian Heritage Minister Pablo Rodriguez, the cabinet minister responsible for the NCC, said Wednesday it's "too bad" the RendezVous plan has fallen through, but told reporters there are other options for LeBreton Flats. He didn't specify what those options are. "I'm confident. It is a priority for the NCC, for the region, for the government. I expect the NCC to be able to announce other things soon," Rodriguez said. Officials have been talking about what to do with LeBreton Flats for 55 years, but the RendezVous proposal marked the furthest any plan had progressed.